Toyota will unveil the second generation of its Auris next month at the Paris motor show. This is a very important model for Toyota in Europe. It’s in the biggest segment here, where the Golf and Focus are. Europeans are buying millions of those cars every year. But this is a segment where Toyota has never been much successful. The Corolla has never been a big seller in Europe, though people liked its reliability, and the Auris which replaced it with the goal of convincing more customers didn’t live to its expectations. But Toyota did. The largest automotive manufacturer in the world reacted strongly, less than 5 years after the launch of the first Auris, and this second generation appears much better. Designers and engineers had a clear motto: make something more exciting. New Auris is one inch longer, but 2 inches lower, giving a much sportier stance. The frond end then, is much more expressive, and the interior should provide a higher quality feel, Toyota says. Driving shall also be much better, with more incisive roadholding, but powertrains should not change much. 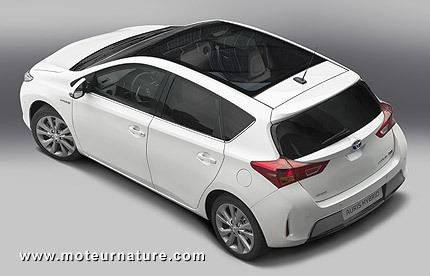 The actual Auris hybrid shares all its mechanicals parts with the Prius, and nobody expects this to change much. It should only be slightly refined. The big news will come in about 18 months with the arrival of BMW’s diesels, but right now Toyota plans an equal mix of powertrains in Europe. One third of customers will get gas models, another third will go for the diesels, and the last third will get the hybrid Auris. That is for Europe as a whole, but some countries like France will be much different. Gas should not make more than 2% of sales, diesels should make 43% and 55% of sales should be for the hybrid model. That’s great news for hybrids in France, but Toyota should worry about its Prius. 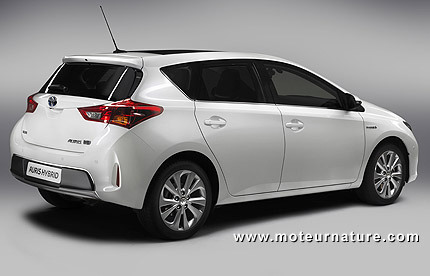 The Auris has always been much cheaper than the Prius, but it was less stylish, and less luxurious. 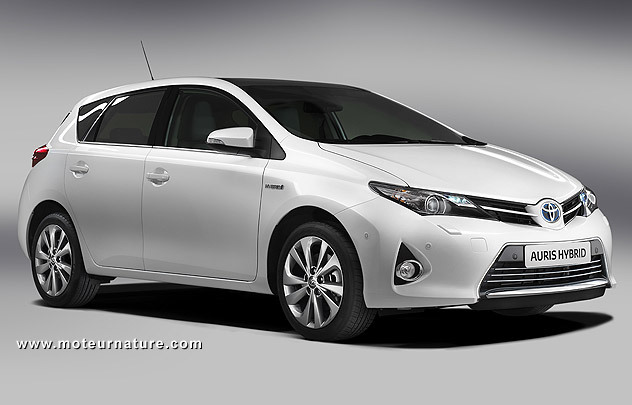 Now that the Auris looks good, there shall not be many people left willing to pay extra to get a Prius.